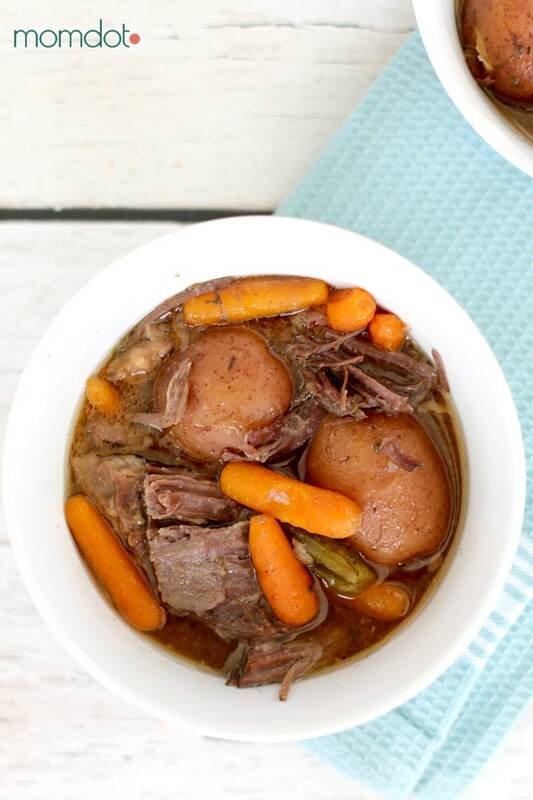 Home » Recipes » Hands down the easiest Pot Roast you will make all year. 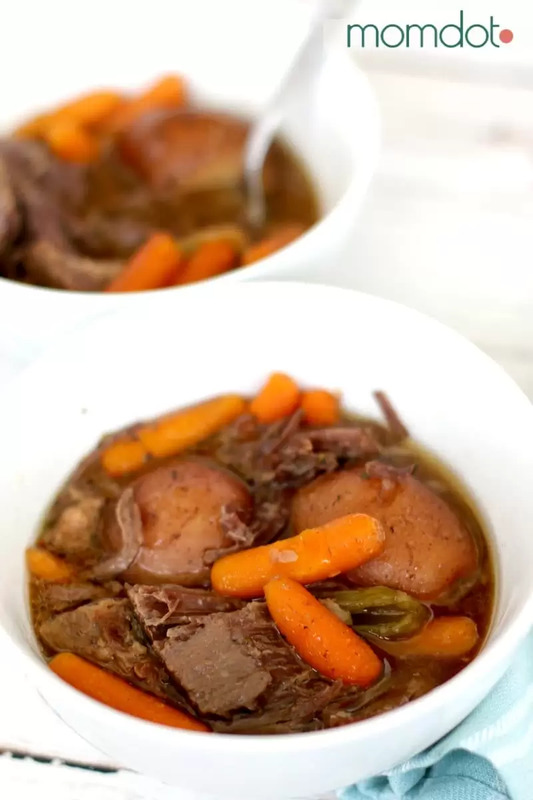 Hands down the easiest Pot Roast you will make all year. 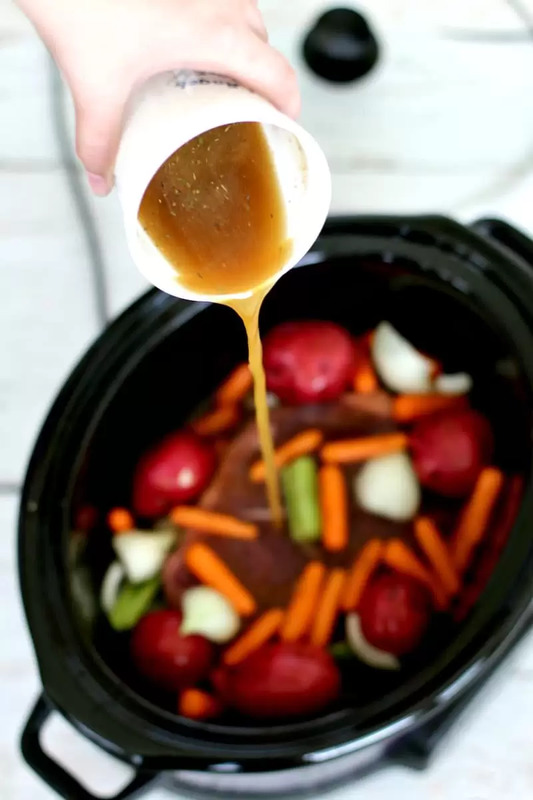 And as easy as the crockpot already is, after all, it’s just dump in a few things you love and walk away, it’s about to get even easier. Tyson® Meal Kits are not a frozen solution, but rather a fresh alternative that makes getting dinner going in mere seconds, freeing up your day to do much more important things. 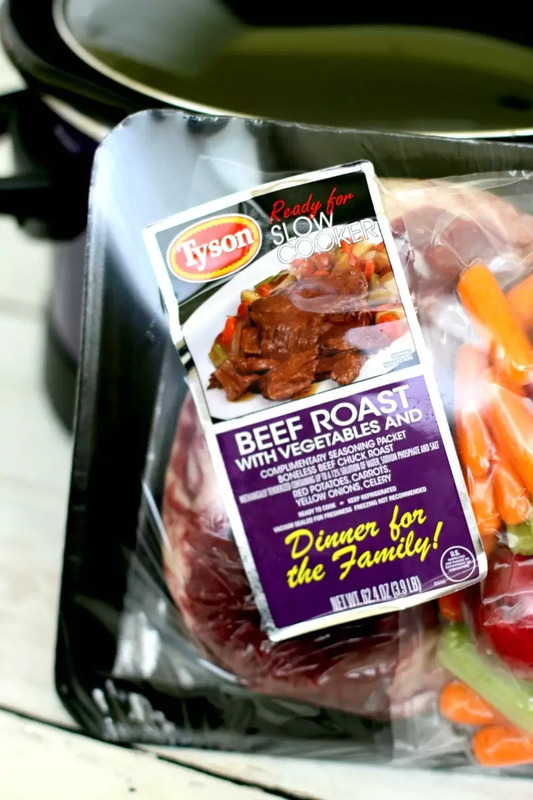 Tyson® Meal Kits comes with all the necessary ingredients packaged in one convenient grab and go so you the hardest part of dinner is checking out at the store. My experience with Tyson® Meal Kits today was a simple one. I found the pot roast kit easily in the fresh meat section. Sealed individually, the pot roast was in a bag, the fresh veggies were in a bag, and the seasoning was in its own packet. 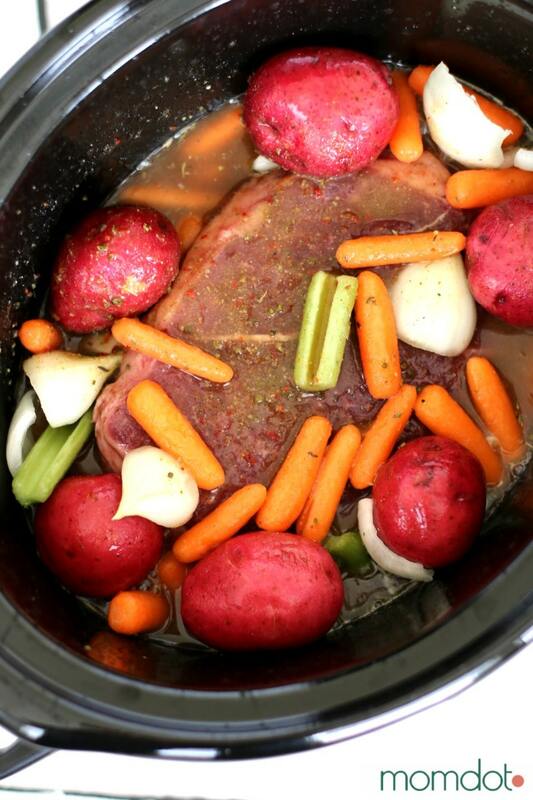 All I had to do was add the roast to my pot, dump in veggies, mix the seasoning with a cup of water and then set the slow cooker to the time noted. 8 hours later I didn’t have to worry about the stress of dinner and we all enjoyed a hot meal (for once) without debating fast food or frozen. I thought it was easy to grab at the store and basically a non-existent prep time. The meat was great quality and the carrots, onion and new potatoes were fresh and colorful. My husband said he really enjoyed the meal and the seasoning reminded him of an old fashioned meal. My kids don’t touch red meat because they are picky beyond belief and not normal children. All in all, I would purchase this again! Where can you buy Tyson® Meal Kits? 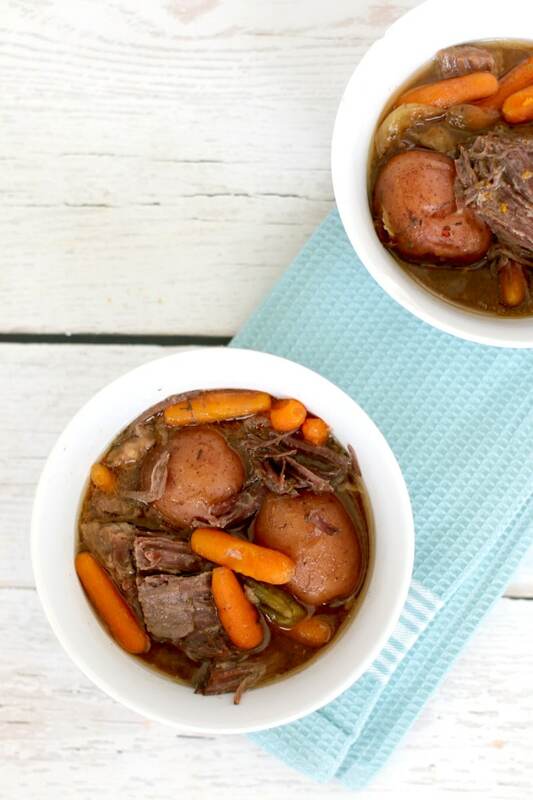 You can pick them up at your local Publix, in the “ready to cook” area an in-store offer: from 04/07/2016 to 04/13/2016 Tyson® Meal Kits will be just $10.99 at Publix!! What other meals can you expect? Which one do you believe your family would love? ?